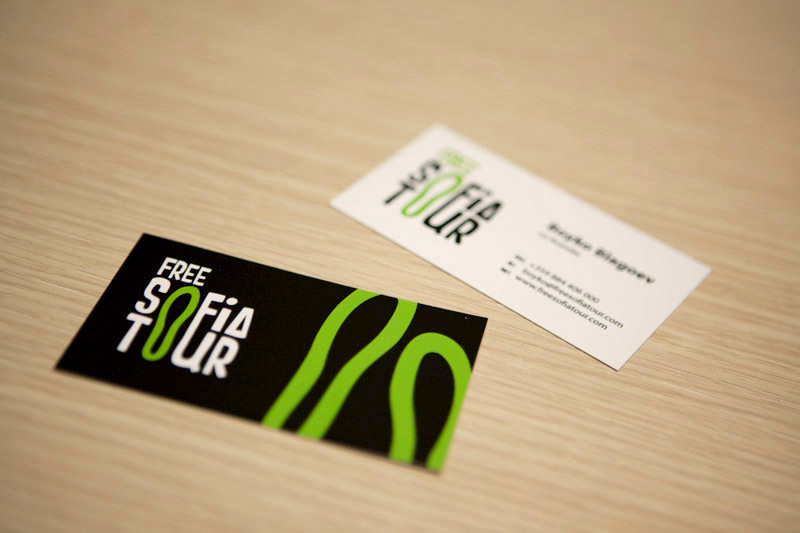 Our friends from Free Sofia Tour started a great initiative and we were happy to assist with the core branding – the logo design. Basically – it’s a guide walk for tourists in the city, organized on regular basis for free by enthusiasts. From design perspective – the hard part was to organize the 3 words in a proper way so they can look cool, but readable , too. Since the 3 words are taking a lot of space and there’s none for any outside-standing classic mark – we put the mark inside. This way everything stays tidy and smart. The “step” also points to the notice “free” in case you’ve missed it somehow. The second idea within the logo is that the letters F, I and U are kind of forming another step in progress… The font is casual and non-obligatory – just like the concept of the city initiative itself. The logo in negative is even more beautiful. Maybe you’ve noticed already – our team loves green. It represents so many things, it’s so fresh and such a good alternative to the red as a signal color in city environment that we just can’t stop using it. The square-ish proportion guarantees that the logo will fit in the most common logo spaces. Especially in the online social space ( like facebook ), where the square avatar fields are dominating. Some design developments of this exact logo proposal. The business card is 3 color digital print on 300 g matte paper, 30 mic matte laminate finish. White background ensures good text readability. Black background makes the logo pop out and the card itself look stylish. The green step is the key element that makes the black & white combination fresh and friendly. The very bright green is actually not readable on white background, so later on we’ve changed the nuance. We’ve advised the clients to experiment in the future with different light reflecting folios that may pop-up the vision even more. These can also appear very practical for every walker in the big city. You can notice that in this version the T is like an arrow, but we’ve reduced the accents in the logo and in the final design – the T is plain. A well-designed umbrella is always a great brand souvenir. The logo design works on the street as well.